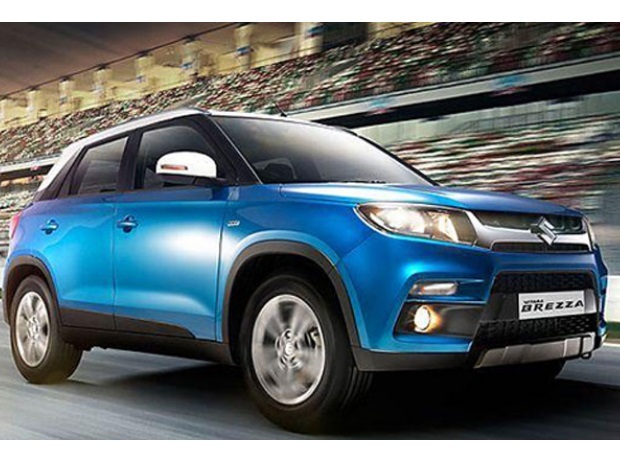 India’s biggest automobile manufacturer, Maruti Suzuki today unveiled the much-awaited compact SUV Vitara Brezza on the first day of Auto Expo, 2016, New Delhi. Vitara Brezza is a part of the new range of products which the company is looking to design and manufacture majorly in India.The Vitara Brezza will go head to head with the likes of Ford EcoSport, Mahindra TUV300, Renault Duster, and the new Hyundai Creta. The beautiful Vitara Brezza in terms of looks very much like the Grand Vitara, and comes equipped with 16-inch alloy wheels on the ZDi+ trim. Maruti Suzuki has plans to roll the vehicle out with a number of personalisation options. The company is offering theme based options along with dual-colour scheme and floating roof feel. The Vitara Brezza is powered by a 300 DDis engine with five-speed manual transmission. No pricing details have been revealed.